Home > Special Offers > Sales > The Okanagan's Premium Pre-Owned Outlet! 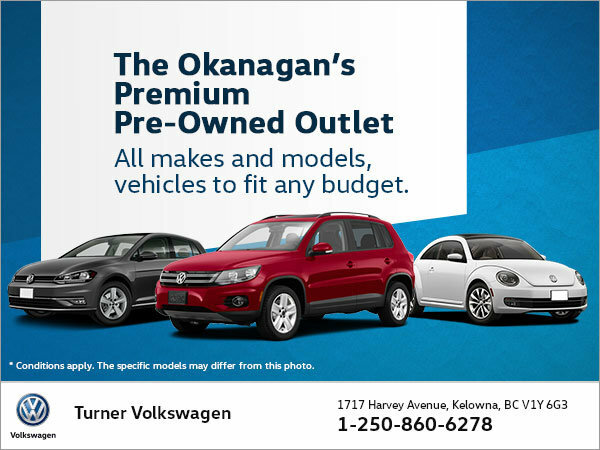 The Okanagan's Premium Pre-Owned Outlet! A 30-day/2,000km exchange policy on all Premium Pre-Owned models. Turner VW: we put the premium into pre-owned! *Certain conditions may apply. See dealer for full program & promotion rules.